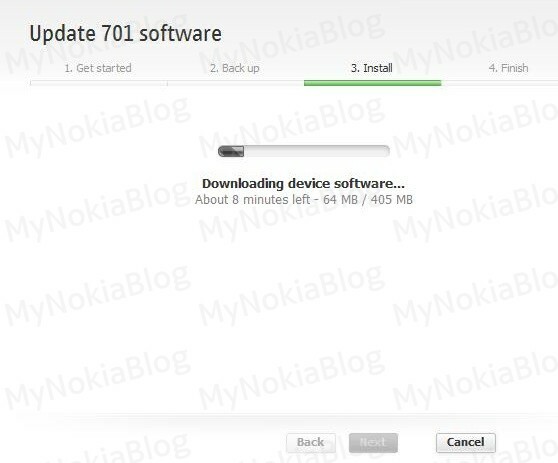 Nick emailed us some screenshots he took when connecting his Nokia 701 to Ovi Suite. It showed an Belle update to version 111.020.0307. The update is huge. 405MB. 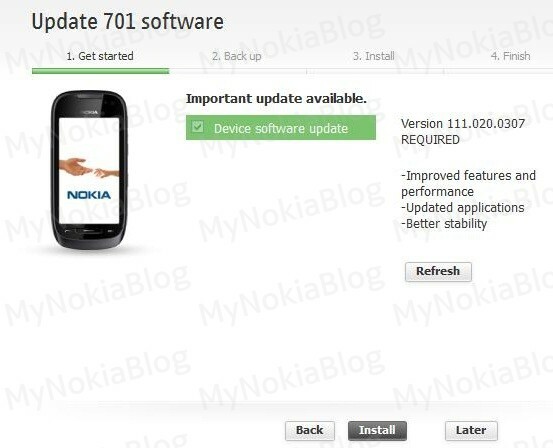 I’m not sure if this is for all current Belle devices or if this is even new to Nokia 701, but just in case, it’s worth checking out.